Many translators include “editing” and “proofreading” in their list of services. But what do these skills actually involve? According to the Oxford English Dictionary, to edit is to “Prepare (written material) for publication by correcting, condensing, or otherwise modifying it”, and to proofread is to “Read (printer's proofs or other written or printed material) and mark any errors." The Society for Editors and Proofreaders puts it somewhat more colourfully: editing and proofreading “are both editing, which is wrestling with words; but proofreading is like wrestling in a broom cupboard”. In this session, Marian Dougan will draw on her experience as a translator and editor (most recently at the European Central Bank in Frankfurt) to share tips, insights and resources on how to hone your texts. Marian will also discuss other areas of work that editing skills can open up for translators: from post-editing of machine translation to editing documents produced by non-native-speaking experts to adapting written material for the web. The workshop will be conducted in English but the principles addressed are “language neutral”. It will include practical examples and exercises. 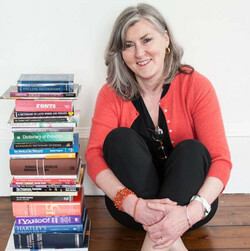 A French- and Italian-to-English translator (and former chocolate-shop owner), Marian Dougan began translating in the 1980s and has been translating full time since 2000. She is currently working as an in-house translator and editor at the European Central Bank in Frankfurt. She also worked as Social Affairs Officer for 15 years at the British Embassy in Rome. Marian’s specialist translation subjects are economy and finance; energy, competition and social policy; and international affairs. In September 2014 Marian obtained User Experience Certification, with specialisation in Web Design, from the Nielsen Norman Group. A firm believer in educational outreach, Marian teaches a Masterclass in Translating for the Web at Glasgow and Stirling Universities and gives talks on language learning to local schools. She is Convenor and Deputy Webmaster for Scotnet, the Institute of Translation and Interpreting’s Scottish network.